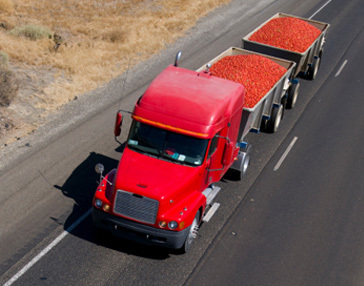 Model Improvement Program - Freight Forecasting | Resource Systems Group, Inc.
RSG developed valley-wide and county-level goods movement model improvements for the eight San Joaquin Valley county agencies as part of the San Joaquin Valley Model Improvement Program (MIP). The goods movement modeling improvements included updating commodity flow data, updating economic flow data, updating agriculture flow data, and revising the methods used for short-haul commercial vehicles to include non-freight vehicles and to add a light-truck trip classification. RSG validated the valley-wide goods movement model with truck counts available from Caltrans to ensure that the demand was valid, but the focus of validation in the MIP was on the county-level models, since there were significantly more truck counts available at the county level. RSG used the valley-wide goods movement model to provide long-haul goods movements for each county model, supplemented with short-haul commercial vehicle models developed separately for each county. RSG was able to recognize the unique aspects of truck movements in each county by calibrating the short-haul movements separately.